NYC is filled with thousands of wonderful restaurants! Ask ten people their favorite place to eat, and I’ll bet you get ten different recommendations. But, what if you ask them their favorite museum restaurant that has good food, and is lovely and intimate. They might not have an answer for you. Not to worry! 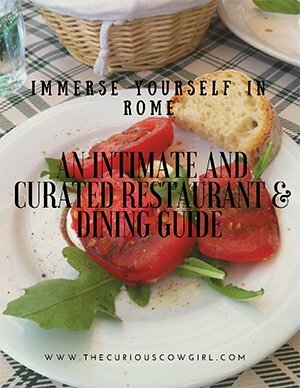 The Curious Cowgirl has three fantastic suggestions for a lovely intimate museum restaurant in NYC! Located on the Upper East Side, the Grand Dame of museums in NYC, the MET could easily fill several days of your time…but most tourists don’t have several days, or even several hours. I did detail out a guide for touring the MET in this post. 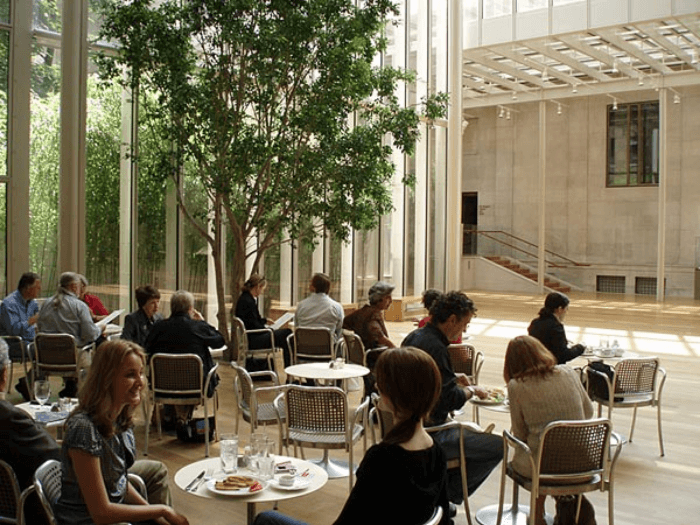 It is easy to spend hours in the MET, and if all that touring leaves you needing immediate sustenance, but not in a cafeteria-style setting, never fear. 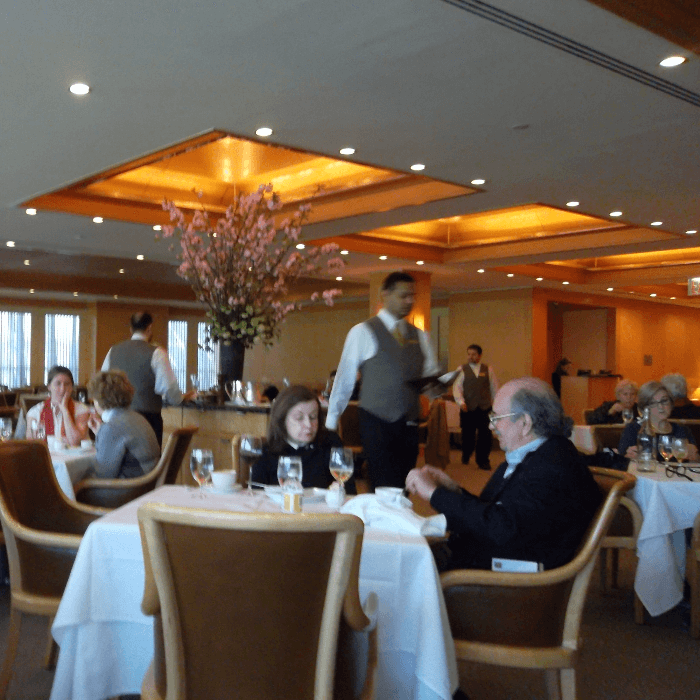 There is a lovely intimate museum restaurant: the MET Dining Room, offering a beautiful view of Central Park as a bonus! Reservations are absolutely essential! 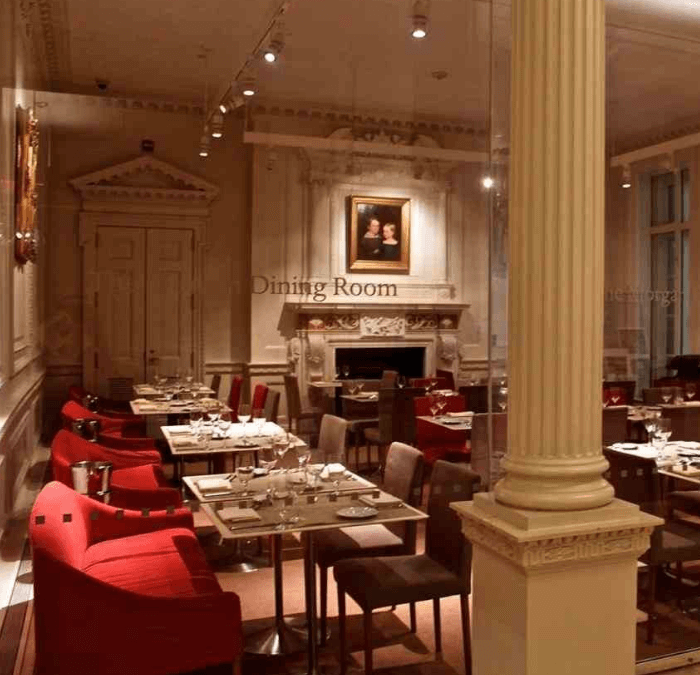 Call the Museum directly or book a table on Open Table! This Murray Hill gem is located at 37th and Madison Avenue. In 1924 J. P. Morgan, Jr. gave his father’s extraordinary library to the public. The most influential financier in this country’s history, Pierpont Morgan was also a voracious collector. He bought on an astonishing scale, collecting art objects in virtually every medium, including the rare books, manuscripts, drawings, prints, and ancient artifacts that are the core of The Morgan Library & Museum’s holdings. There’s always a great temporary exhibit at The Morgan Library, and the gift shop is excellent!!!! There’s an open-air Morgan Cafe, where you can sit and order from a menu. Saturday–Sunday 11 a.m. to 4 p.m.. 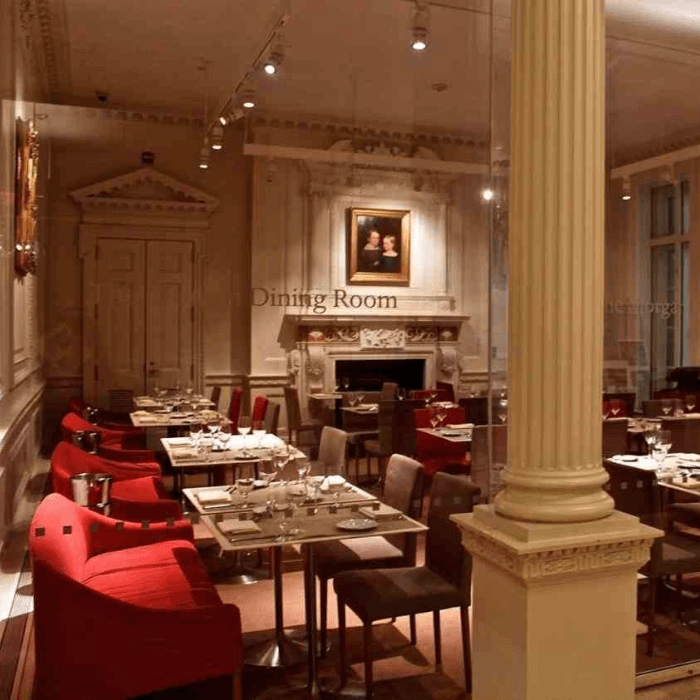 But, as you go up the stairs just in front of the main entrance, there is a lovely intimate museum restaurant, the Morgan Dining Room. This beautiful space will make you feel like you have stepped back in time. The seating capacity is small, so reservations would be a very good idea! Ready to book your trip? Know where you are going to stay? 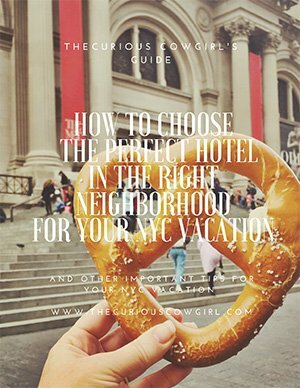 I’ve got a FREE NYC Hotel Guide! Click on the image below to get your FREE Guide! Y’all, this is a totally wonderful museum on the Upper East Side, located at 5th Ave. and 92nd, and not only are the permanent exhibits fascinating, but there’s always a fantastic temporary exhibit there as well, so be sure and check the web site. In the basement, is Russ and Daughters, a lovely intimate museum restaurant for sure, and the menu is completely kosher. 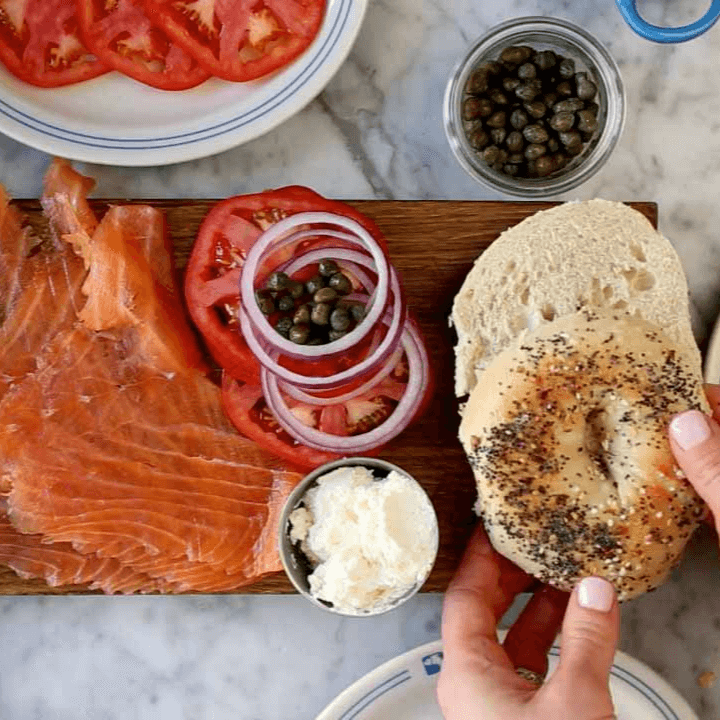 After more than a century on the Lower East Side, Russ & Daughters, the New York City culinary landmark famous for their bagels and lox, smoked fish and traditional baked goods. It’s possible to purchase food to-go from the deli counter as well, and I noticed many museum visitors picking out food to take home, or perhaps for an impromptu picnic in Central Park, which is across the street. 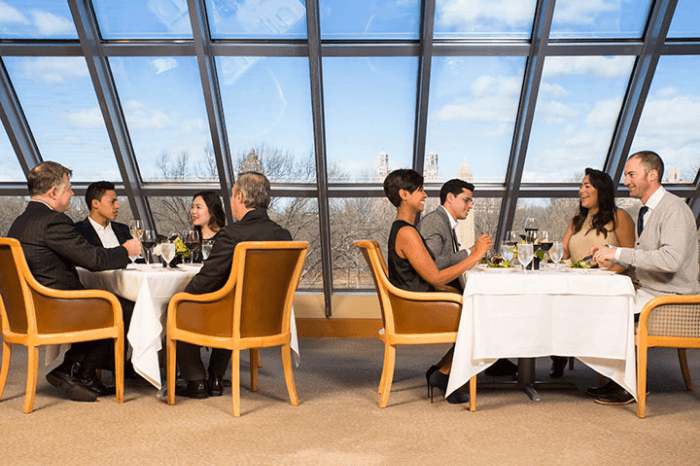 Site seeing in NYC can be exhausting, and the opportunity to rest weary feet and enjoy a lovely meal is truly a perk at these lovely intimate museum restaurants. Happy museum-ing and dining, y’all! 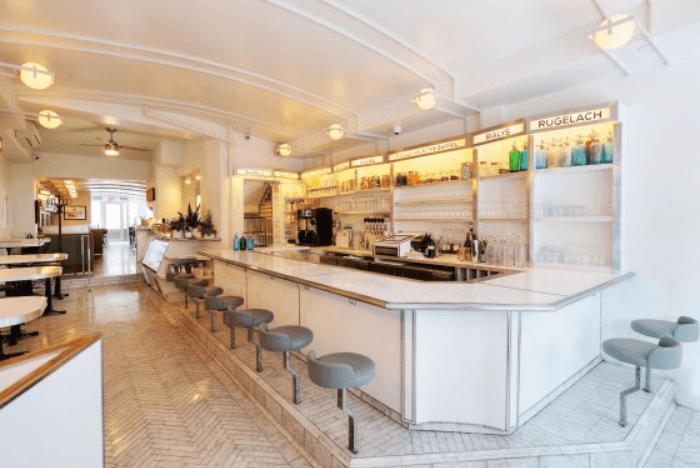 For a complete list of all my favorite NYC restaurants, my NYC Restaurant Guide has over 30 restaurant suggestions, organized by part of town, and includes phone numbers, and information about those that participate on Open Table. Worth every penny y’all!!!! 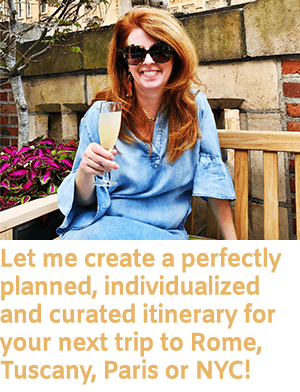 If you are planning a trip to NYC, and would like my assistance in creating a personalized curated travel plan, it would be my joy to assist you! Email me! marythecuriouscowgirl@gmail.com. Absolutely! WE need a girls trip!!!!! I love all three of these restaurants. My favorite blog. Putting all these NYC tips to great use! Thanks. Awwwwww Deborah….you MADE my day! Thank you for such a kind compliment!!! I love writing it!!!! I know you have good NYC tips….we need to get together soon!!!! I had no idea there were so many options. Thank you so much for sharing. You are more than welcome! Hope this makes your next trip to NYC fabulous!!! Those do look like really nice restaurant that won’t be so loud. Like a lot of restaurants. They are! And I’m with you….loud makes me crazy!!! lol! What a really cool restaurant. I love visiting unique places (even better when they serve food lol). Me too! Good meals in interesting places is always a plus! Ok, this is such a cool spot! I cannot wait to visit when I am in NYC in September! September will be a great time to visit! If I can help in any way, let me know! We have a trip to NYC scheduled in the fall. I have been to NYC several times but most were business trips so I haven’t had the chance to explore the city more. Thanks for letting me know about these places. Fall will be wonderful! If I can help you plan a wonderful trip, I’d love to!